Moto-Master offroad replacement rotors are available in standard design, flame design with standard size, and flame design oversized. For Moto-Master's revolutionary flame design rotors please check the MX/Offroad Flame rotors category. All Moto-Master replacement rotors are made from hardened and refined Chrome-Molybdenium alloy steel. This guarantees little rotor wear combined with an instant performance improvement over standard OEM rotor. They are prescision laser cut, CNC drilled and surface machined for perfect fitting and flatness. Designed to withstand the most extreme riding conditions. 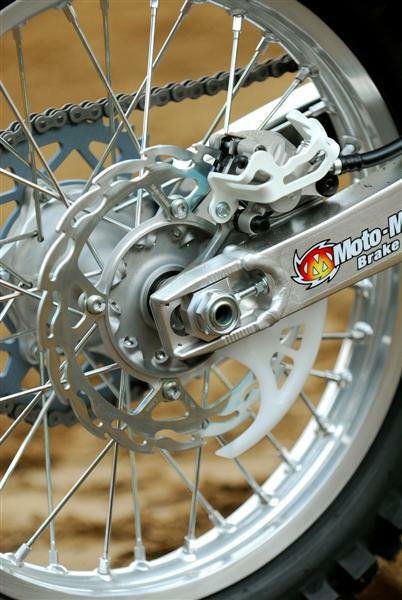 Moto-Master rotors can be used with any type of brakepads, including sinterbronze, kevlar, and ceramic carbon pads.